Treat your mum this mothers day (31st March) to a Terrarium workshop, prosecco and vegan canapés!! Vegan smoked salmon lox, fresh lemon and dill cashew cheese blinis, seaweed caviar canapés, delicious! 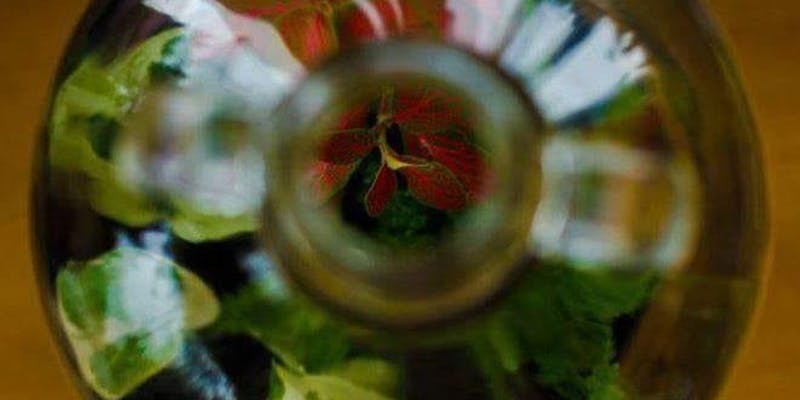 Join us for a guided hands on workshop where each participant can create their own miniature ecosystem, using bioluminescent mushrooms and small tropical plants inside a beautiful sealed glass vessel.